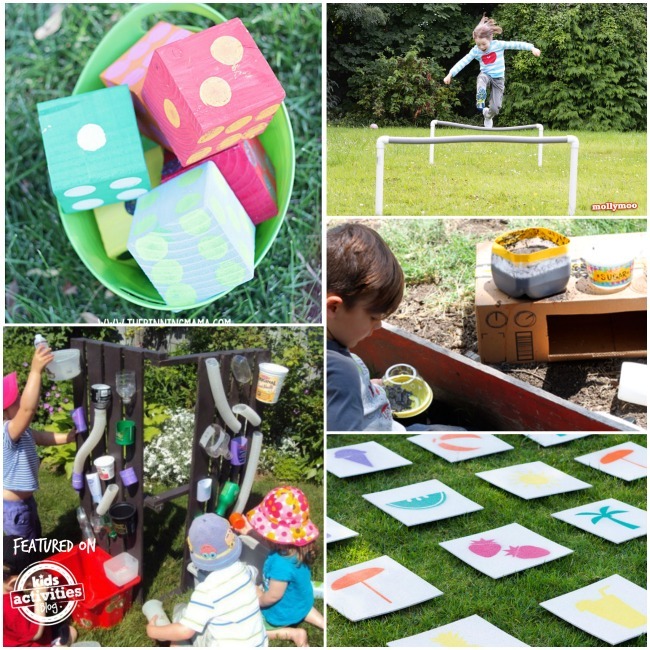 Outdoor play is the best for many reasons. 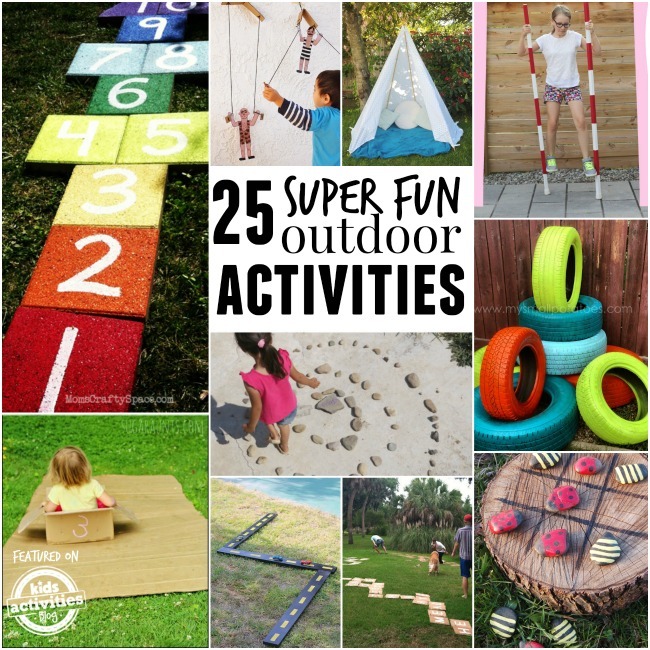 One of them (my favorite) is that you have so many more possibilities and ways to create unforgettable fun for your kids. The truth is that they will play even if it’s just a plain grass or dirt in your backyard. However, there are some things that you can do to make your backyard more attractive and kid-play friendly. 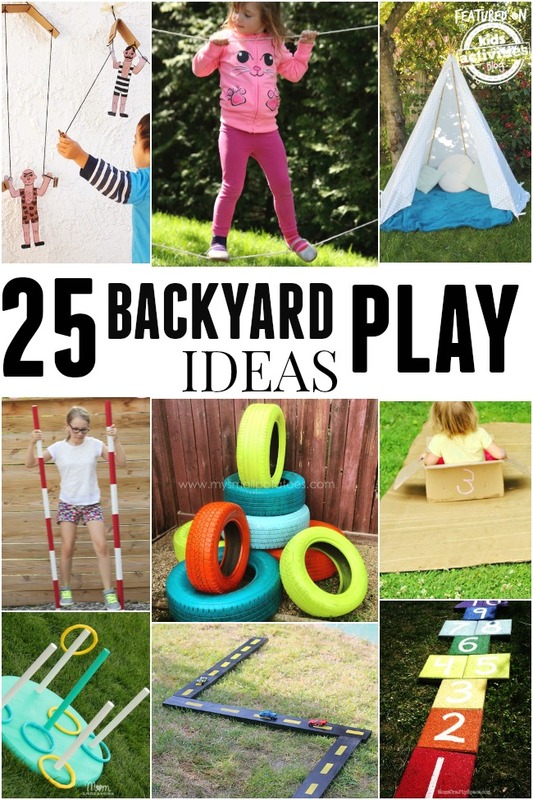 I gathered 25 my of my most favorite ideas and DIY projects how to create that outdoor play for kids. The good news is that you don’t have to spend hundreds of dollars. Most of the projects you can do from nature or the stuff you already have at home. Birute Efe has daily fun at her Playtivities.com blog and the farm where she lives with her family. 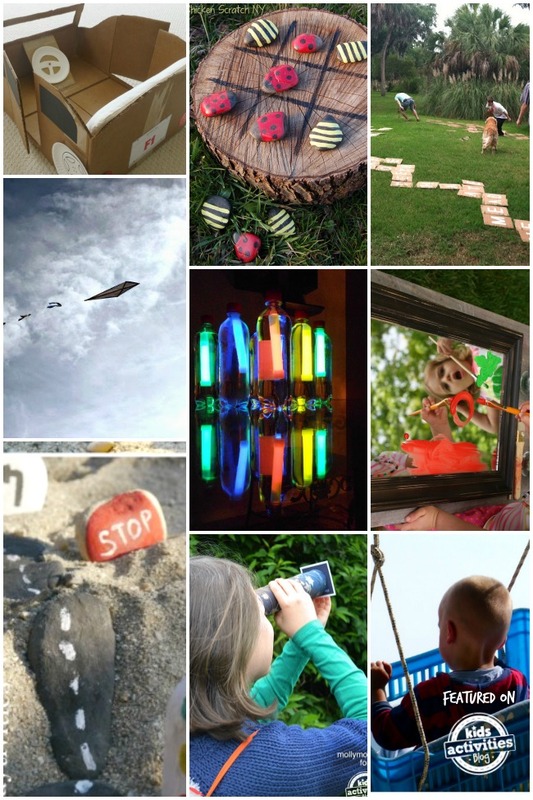 She loves creating activities and toys for her 2 kiddos by up-cycling household items. She will never walk pass by a big cardboard box or a pile of old magazines. She believes the best learning comes from exploring and creating. You can also find her on Facebook, Pinterest, Google+, and Instagram.